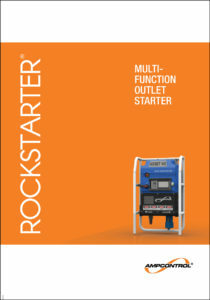 Ampcontrol’s Rockstarter is a multifunction outlet starter designed for use in underground hard rock mining. It is also suitable for use in tunnelling and other industrial applications. 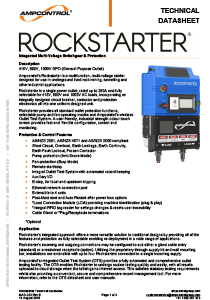 Compared to traditional starters that have been custom engineered, designed and built for specific applications, the Ampcontrol Rockstarter has a completely integrated approach to provide a more versatile and commoditised solution for your operation. The Rockstarter’s integrated approach offers a more versatile solution to traditional designs. 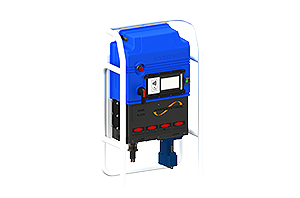 It provides all of the features and protection to enable reuse in a wide range of applications, including all normal pump, fan and drill rig applications. When you are ready to change the application, simply re-program it via the user-friendly, industrial-strength touch screen display. The Rockstarter can be scaled to suit your specific operations. 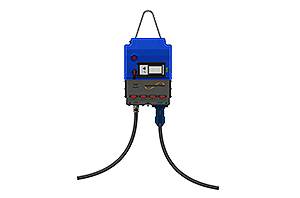 You can configure the incoming and outgoing connections to suit either a glanded cable entry or a restrained receptable. 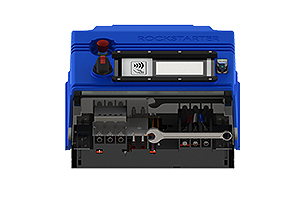 By utilising the proprietary through-supply kit and wall mounting bar, you can connect up to four Rockstarters together with a through-feed while there are active operations in an area. 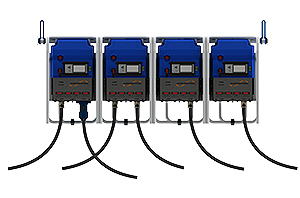 If your operations change, you can simple relocate any unused Rockstarters to another part of your site for use in a different application.